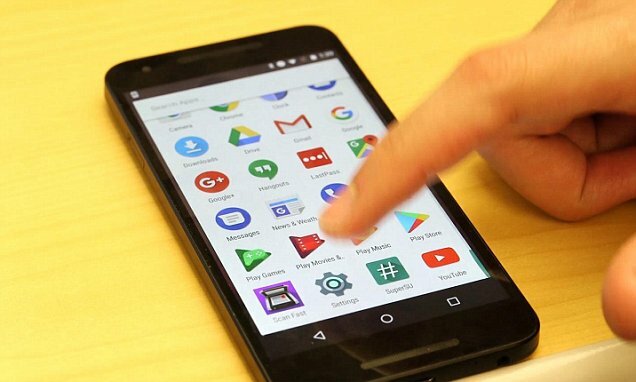 Permissions to accesses certain features on an Android have been found to be used by hackers to takeover the device. The attack, dubbed 'Cloak and Dagger', enables cyberthieves to control handsets by overlaying the interface with false information to hide malicious activities being performed underneath. The team has warned that a successful attack is carried out by the smartphone user first installing a type of malware that is infected in a compromised app. The discovery was made by researchers at Georgia Institute of Technology (Georgia Tech), who has tested the vulnerability in closed environments. And the researchers have disclosed the potential attack to Google, maker of the Android system. But because it involves two common features that can be misused even when they behave as intended, the issue could be more difficult to resolve than ordinary operating system bugs. 'In Cloak and Dagger, we identified two different Android features that when combined, allow an attacker to read, change or capture the data entered into popular mobile apps,' said Wenke Lee, a professor in Georgia Tech's School of Computer Science and co-director of the Institute for Information Security & Privacy.